There are no brick and mortar casinos in the Faroe Islands. This is largely due to the small population of the islands – below 50 000 inhabitants. The population is also spread out over 16 islands, resulting in a customer base too small to support any casinos or similar establishments. The Faroe Islands is an archipelago located to the north of Great Britain, about halfway between Norway and Iceland. The Faroe Islands had been under Danish control since 1388. The Faroe Islands became a self-governing country since 1948, but still forms part of the Kingdom of Denmark. As a result of this independence, Danish laws do not automatically become assimilated into the Faroese legal system. The Faroe Islands has opted to adopt the Danish gambling laws, but not the online gambling regulations. The Faroe Islands has not assimilated Denmark’s online gambling laws, nor have they created their own. As a result, online gambling remains unregulated on the islands. With such a small population, the government likely has little incentive to introduce regulations, as the possible income from taxes and licensing is so small. Casino gambling is legal in the Faroe Islands, under the same regulations as in Denmark. However, there are no casinos or slot machine halls to be found on the islands. Theoretically, anyone wishing to operate such an establishment would need to apply for a gambling licence. 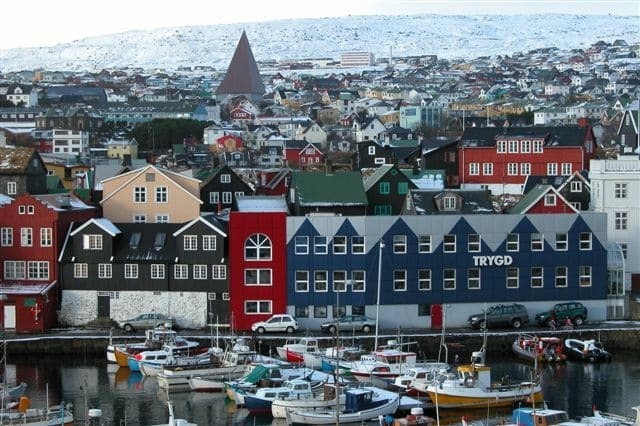 The Faroe Islands has not adopted the Danish online gambling laws, nor do they have their own. As a result, online casino gambling is completely unregulated at the moment. There are no online casino operators based in the Faroe Islands. However, there are also no laws against locals playing on online casino sites, whether they are licensed in Denmark or not. Bingo is legal in the Faroe Islands. However, bingo is considered to be a lottery-style game in Denmark, which means it falls under the state monopoly on lotteries. It should be noted, that this version of bingo is a game where all winning numbers are shown at once. The game generally known as bingo is not very popular in the Faroe Islands. There is no regulation in the Faroe Islands regarding online bingo. There are no online bingo operators based specifically in the Faroe Islands. Locals are free to play online bingo games on the online platform of the Danish lottery, Danske Spil. There are also no laws against locals participating in online bingo games organised by companies not licensed in Denmark. In the Faroe Islands the same laws apply to land-based poker games as in Denmark. Poker is considered to be a combination game – that is, a game where the outcome depends on a combination of skill and luck. Companies who wish to run poker games must apply for a licence. There are currently no poker halls or similar establishments in the Faroe Islands. Online poker on the other hand is completely unregulated in the Faroe Islands. There are no online poker licence issued, consequently, there are no locally-based online poker operators. However, locals are free to play on Danish or international online poker sites. Sports betting is legal in Denmark, and thus in the Faroe Islands. Companies who wish to provide sports betting services must apply for a licence. Certain forms of sports betting – dog, horse and pigeon races – are a monopoly of the state-run Danske Spil. There are no brick and mortar sports betting companies based in the Faroe Islands. Online sports betting is not regulated in the Faroe Islands, which also means that there are no online sports betting companies based or licensed within the territory. Locals are free to participate in online sports betting whether the operators are licensed in Denmark or not. Lottery is legal in Denmark and in the Faroe Islands. Most of the lottery-style games may only be run by the state-owned Danske Spil. The exception from this is class lottery, which belongs to Det Danske Klasselotteri A/S. The Faroe Islands has no lottery of its own. Online lotteries are not regulated in the Faroe Islands. Locals are free to participate in either that games available on the online platform of Danske Spil, or any international lottery draws. There are no Faroese online lottery operators. There is no specific regulation in the Faroe Islands regarding Bitcoin gambling. There are no Bitcoin casinos based in either the Faroe Islands or Denmark. However, Bitcoin is somewhat popular in Denmark, so it is safe to assume the same applies the the Faroe Islands as well. Faroese gamblers are free to play in international Bitcoin casinos. This online gambling guide focuses on the legal status of casinos, gambling, sports betting, lottery, bingo (housie), poker and Bitcoin gambling in the Faroe Islands.